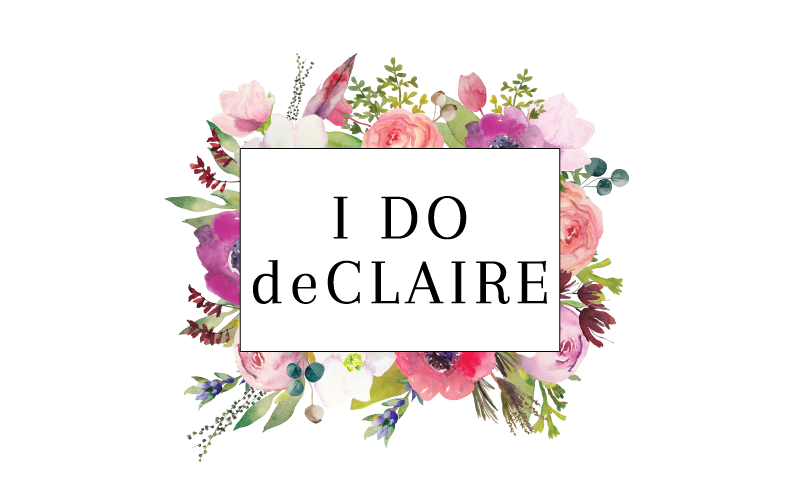 I do deClaire: Claire is 7 months! I am constantly amazed at how much I love this little girl! She loves to sit in the boppy and feed herself her bottle, is babbling like crazy, and likes splashing in the bath. She's starting to get into crawling position from sitting position and I think before long we will be baby proofing the house! No teeth yet, but she's all about chewing on everything. Claire is fascinated by all electronics and likes to 'type' on my laptop. We let her use baby apps on my kindle (until she tries to put that in her mouth, too!). So far the only food she refused was chicken (and if you've smelled the jar stuff you would refuse it). She's like a little magpie when it comes to shiny, sparkly things. If you have a necklace or bracelet, she will want to touch it. I love how her personality is really emerging. She loves to be the center of attention, play peek-a-boo and be tossed in the air. It's been such a wonderful summer being home with her so far! 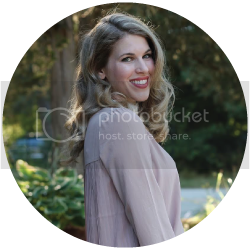 These pictures are so creative! I love how you can see when she can hold her head up and sit on her own. Great post! Congratulations on being a mom. Yay! She's so cute! I love the chalkboard idea too, so fun! We think she's pretty cute, too! ;) We did the chalkboard when I was pregnant each week and thought it would be cute to continue (each month though, who has time each week once they are born?!). It's been fun to think about what to put on it each month. We try to make sure it is new stuff each month. 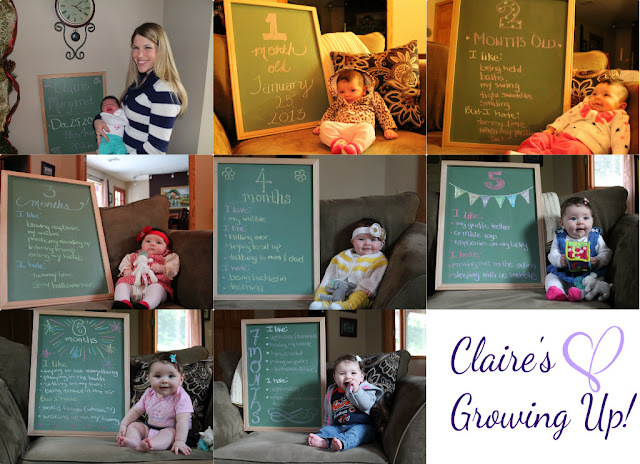 I think after she is 1 year we will just do it yearly, but they change so much in the first year I like the month by month!